In the summer, there are only a few places that I like to be. Number one is the beach, relaxing while listening to the waves crash on the shore. Number two is at an outdoor party, hanging out with friends and eating good food. Number three? I don’t think there is a number three because those two options pretty much define my summer. I love hosting parties but sometimes I can overthink them and it all gets to be too overwhelming and stressful. And who really wants a stressful party? Not this girl. 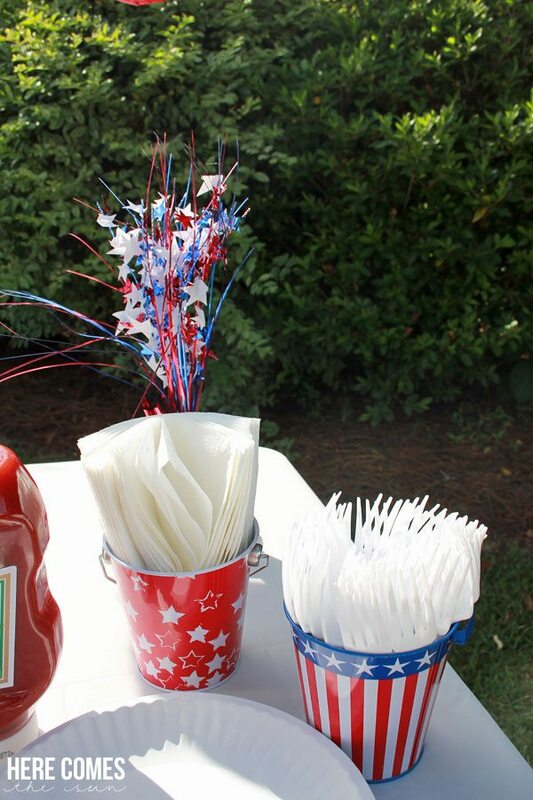 We just wrapped up our 3rd annual Memorial Day Cook-out and I’ve learned a lot in the past three years on how to host a successful outdoor party. When I think of outdoor entertaining, I think no-fuss and casual. 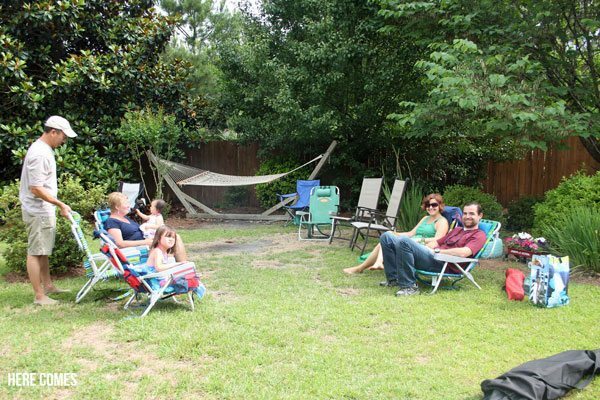 Ask your guests to bring lawn chairs or blankets so they can sit and chat while they eat. This way, there is no need for formal table settings. At our outdoor parties, we always ask guests to bring a side dish. We provide the main dish and drinks. This helps keep our budget in check and relieves the stress of having to provide all the food. Plus, we always get to try new delicious dishes that we don’t normally make. The best kind of activities for kids at an outdoor party (in my opinion) are those that require minimal set up and can keep the kids occupied for a long time. We turn on our DIY sprinkler and the kids are entertained for hours. 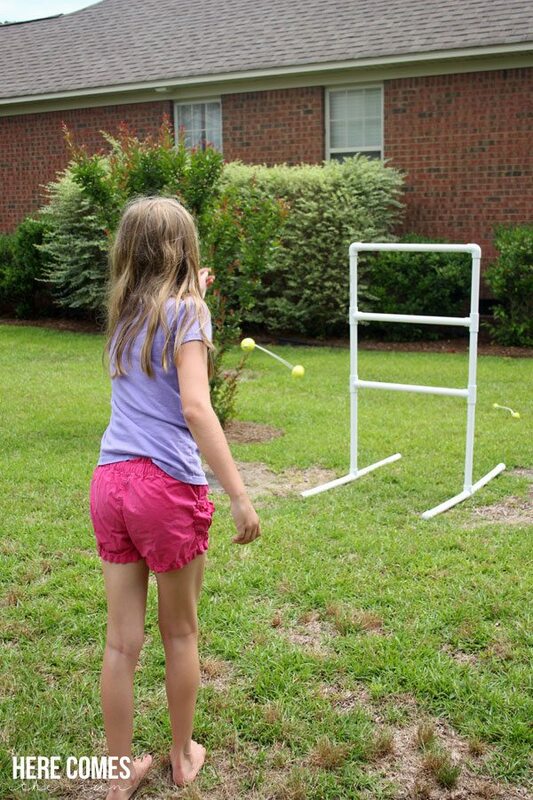 Ladder golf is another great game that is easy for kids to play. Twister is another great game for outdoor parties. Always multiple drink options at your party. Remember, not everybody drinks alcohol and as a host, you need to provide alternative options like water, juice, lemonade, or tea. 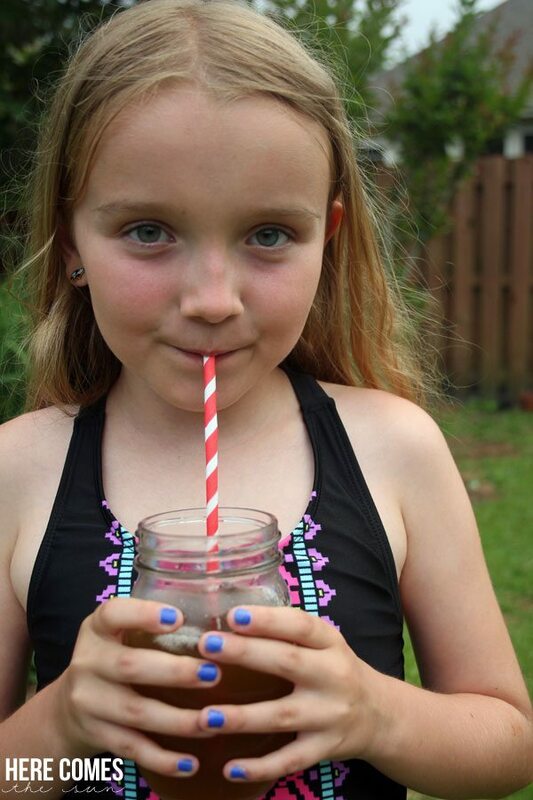 Make water bottles and juice boxes easily accessible in a cooler for grab-and-go. Lemonade or tea can be served in a beverage dispenser. 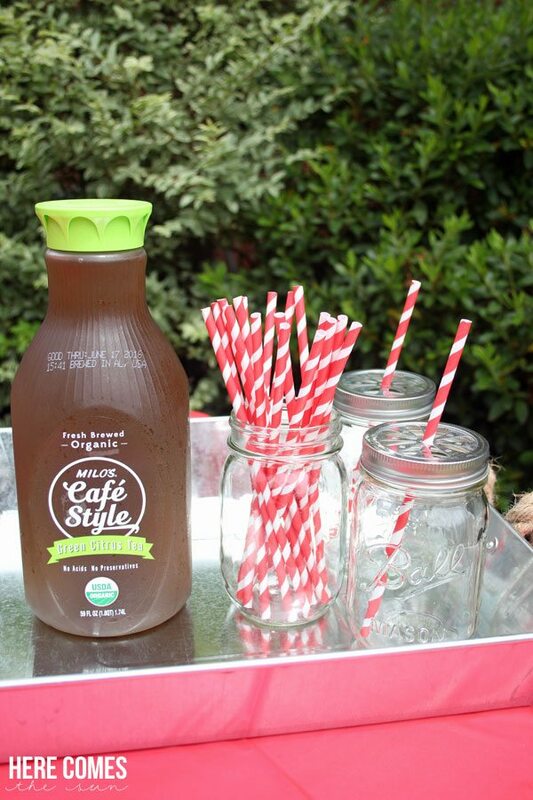 This year I added new Milo’s Cafe Style Green Citrus Tea to our outdoor party menu for a refreshing, fruity drink. It also comes in Sweet, Light Sweet, and Light Green Citrus flavors. 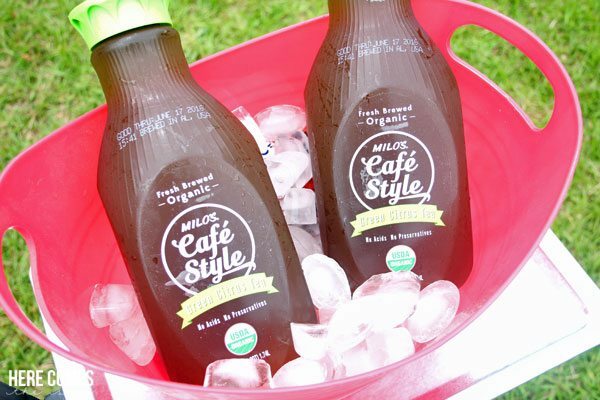 The light versions are a blend of organic cane sugar and stevia. The tea is fresh brewed, all natural with no added preservatives or acids. You can pick it up at WalMart in the refrigerated juice and dairy section. A disorganized food table can create chaos. Put some simple organization tips into place. Put the plates, napkins, silverware and condiments at one end of the table and the drinks at the other end. Place the food in the middle to help everything run smoothly. Summer afternoons can be sweltering and heat exhaustion is no joke. If you have a pop-up gshade tent, set it up. If you don’t have one, set up your chairs in the shade. 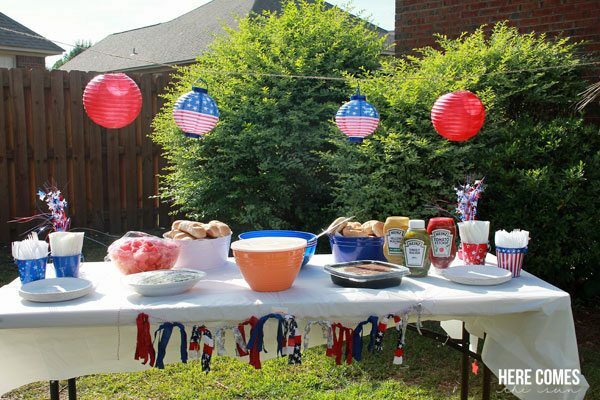 If your yard is not very shady, consider having your outdoor party begin later in the day. We usually plan our parties to start at 4 pm. If none of these options are possible, set up a sprinkler and suggest everyone run through! 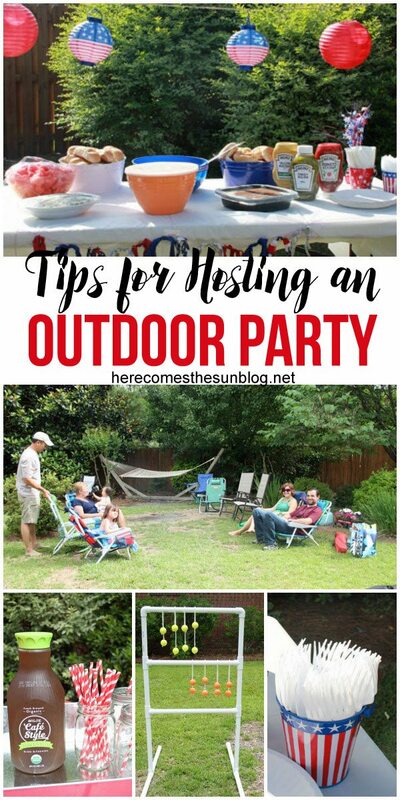 These are just a few tips that have helped our outdoor parties run smoothly. I love hosting parties and would love to hear any other tips that you may have. Just leave a comment below. « Strawberry Freezer Jam Recipe – No Canning System Needed!